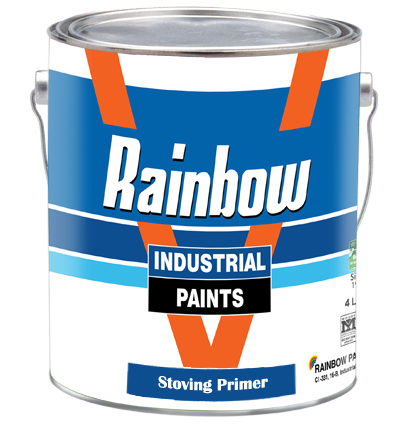 Rainbow Stoving Primer is excellent Red oxide primer for good anti corrosion properties with or without phosphating. Composition: Dehydrated coaster oil alkyd and amino resin. Covering Capacity: 10-12 sq. Meter / Litter (Single Coat). Film Thickness: 25-30 Micron. Application: Conventional spray. Shelf life: 6 month if kept properly sealed container under normal room temperature.